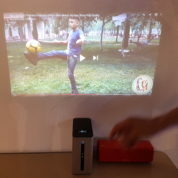 It’s a nifty projector you can hold in one hand. 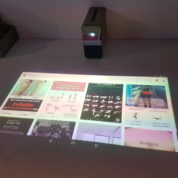 Also an Android gadget, it fires up games, apps and anything that a tablet would run, except you can control them on an image you’ve cast on a table top or a wall. 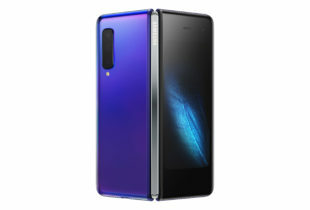 The Sony Xperia Touch, first seen as a concept product last year, is finally out in Singapore now for a cost of S$2,298. Yup, you read the price tag right – it’s a fun toy to own if you can afford it. Essentially, it combines a portable short-throw projector, like the Sony MP-CL1A we tested last year (read the review) with a Wi-Fi-enabled Android device cramped with sensors. 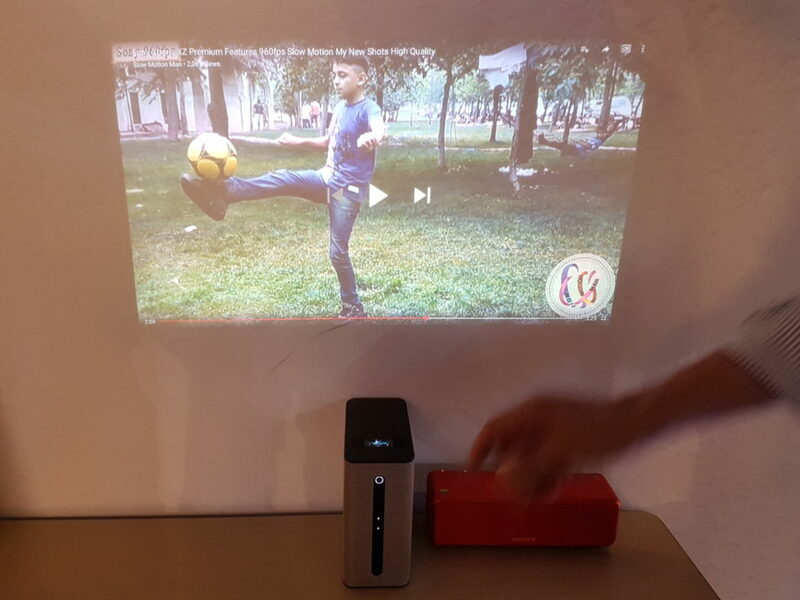 You can play your movies and have them projected on a wall, with an image size of between 23 and 80 inches. In small apartments or rooms, this could be interesting, though you only get a resolution of 1,366 x 768 instead of at least Full HD (1,920 x 1,080). The Xperia Touch’s real attraction is in its collaborative and interactive features. 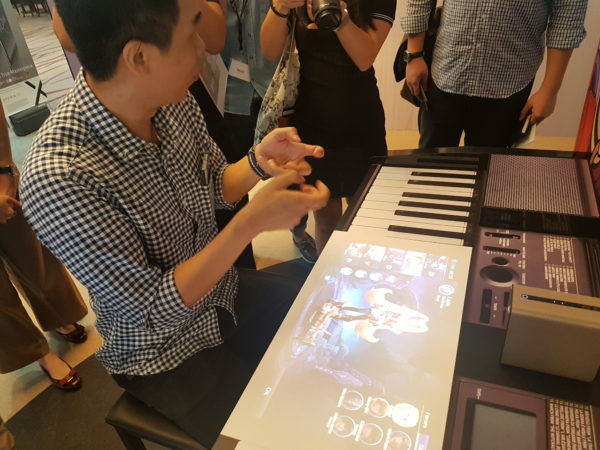 You can project the image onto a table top, for example, and suddenly you have an interactive screen in front of you, for playing games, music or anything you want to run on Android. The interaction is enabled by a 10-point multi-touch input feature. This is possible with infrared beams from the projector, along with a built-in camera capturing your movements in real time. 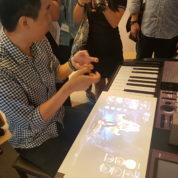 The Sony technology is pretty fast, without the lag of some earlier systems, as I saw today at a media event in Singapore. I tried my hand at the old Fruit Ninja game, for example, and the action was smooth. Indeed, my fingers seemed to move too fast, taking out the bombs in the game that should be avoided, because things are much larger than on a small tablet screen. For something more challenging, I took on an Android action game next. Again, I could use the virtual joystick on the table top to direct my character and fire away without sensing any slowdown. The good thing is, more than one person can play at the same time. I observed the same lag-free movement when other reporters tried out a multiplayer split-screen version of a game. You can, of course, also run educational apps on the projector. If you have a couple of kids, simply casting an interactive image on a table or even on a plain white floor would get their attention. And they can play together. Sure beats letting them watch cartoons on YouTube for hours. And since the Xperia Touch has a microphone as well, you can use it like a personal assistant. Ask a question and Google can find and present the answer on screen. 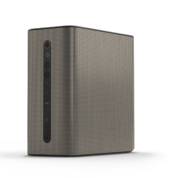 We also saw a brief Skype video call today with the Xperia Touch, so yes, you can bring it along on your travels and have a videoconference without plugging into any TV screen. Just note that its battery promises a max of only 1.5 hours of use, so you still need to get plugged in. Powering all this is a mid-end Qualcomm Snapdragon 650 chip, 3GB of RAM and 32GB of storage, expandable with a microSD card. 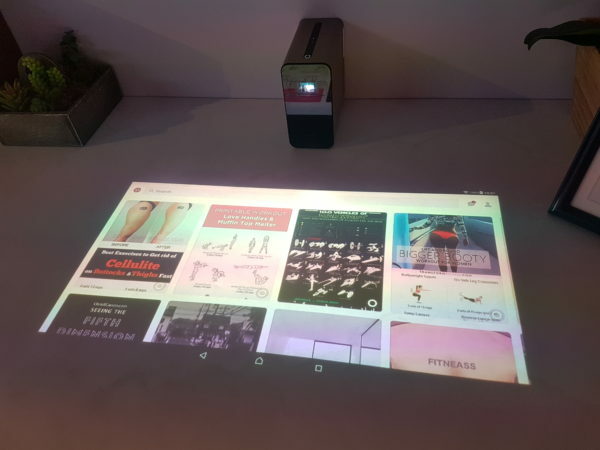 Being an Android device, it should also let you wireless send your Android phone screen to be projected as well. And since it’s a Sony, you can also connect your Playstation to the Xperia Touch. Tired of the TV? Now you can play your games on a different surface – because you can. You might also want to wirelessly connect external speakers to the device if you desire better audio. The two-way speakers on the Xperia Touch I heard today are nothing to call home about, so Bluetooth is a way to link up to a better unit dedicated to do the job. What I’m not sure about, of course, is the price. With S$2,298, you can buy not one but two PCs. 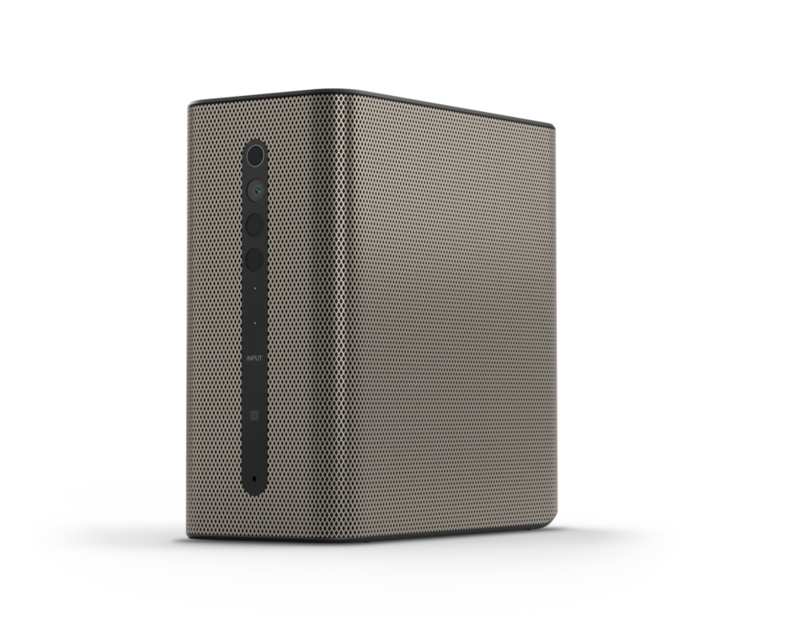 Okay, the PCs can’t let two persons work or play together, but you’ll be paying a steep price for the Xperia Touch for that feature. Perhaps more interesting are the industrial or commercial uses. A projector installed at a mall, for example, could have an interactive surface to guide shoppers. That might be better than the many touch screens today that are so often down or slow to respond. 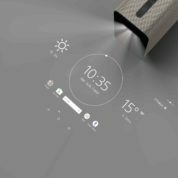 On the whole, you sense that the Xperia Touch is a cool device seeking a compelling use for the price it’s asking. If it’s part of a rejuvenated Sony, then it’s good to see. However, the price just has to be a lot lower to be attractive.